1961 – In The Nursery’s new studio album. Buy now in the shop. In The Nursery are pleased to announce details of their 9th Optical Music Score which will be for The Seashell & the Clergyman (la coquille et le clergyman). In The Nursery release an official video for Grand Corridor, a track from their new album ‘1961’. Grand Corridor is influenced by the Canadian Red Cross Memorial Hospital in the grounds of Cliveden, Taplow, Buckinghamshire, where the twins were born in 1961. ITN HQ have had a clear up and discovered an innocuous C90 cassette. The tape is from a rehearsal / practice session dated 11th May 1982, well recorded on a stereo Sony Walkman, containing a treasure trove of lost and unreleased tracks. Not only is 1961 a rare strobogrammatic number (the next will be 6009) but it is also our birth year and we’ve taken inspiration from the historic, literary and personal connections of that year. 1961 is a special year. Not only is it a rare strobogrammatic number (the next will be 6009) but it is also the birth year of the twin brothers Nigel & Klive Humberstone. For their new studio album, In The Nursery have taken inspiration from the historic, literary and personal events of 1961. In The Nursery are pleased to announce a rare London/UK live show. They will play a full set at the O2 Academy Islington on Saturday 13 May as special guests with And Also The Trees. In The Nursery are pleased to perform their live score for The Fall of the House of Usher at Braunschweig International Film Festival on 13 November. In The Nursery will present their new live score to The Fall of the House of Usher at the Wave Gothic Festival, Leipzig on Saturday 14 May. The European Premiere will take place at the Schauspielhaus Theatre. Check the WGT website and WGT-Guide app for further details. 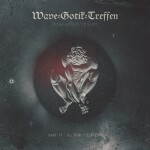 IN THE NURSERY will perform a special 35th anniversary concert at the Wave Gotik Treffen, Leipzig on Friday 13 May.